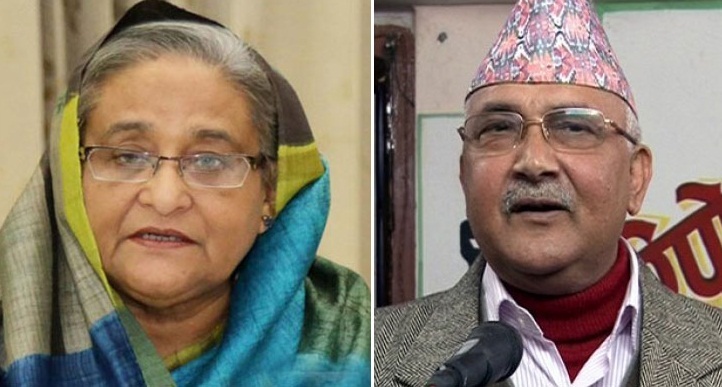 Nepalese Prime Minister KP Sharma Oli on Saturday evening invited Prime Minister Sheikh Hasina to attend the Bimstec Summit to be held in Nepal, reports UNB. KP Sharma called Sheikh Hasina at 7:30pm and both had a 10-minute discussion, PM's Press Secretary Ihsanul Karim said. During the conversation, the Nepalese Prime Minister invited his Bangladeshi counterpart and especially requested her to attend the Bimstec Summit. The Bay of Bengal Initiative for Multi-Sectoral Technical and Economic Cooperation (Bimstec) will hold a summit of heads of governments of the seven member countries on August 30-31 in Nepal. The member countries are India, Bangladesh, Bhutan, Myanmar, Nepal, Sri Lanka and Thailand. The regional body, established in 1997 with secretariat in Dhaka, has been working on cooperation on several areas, including transport and communication counterterrorism and transnational crime, environment and disaster management, energy, public health, agriculture, trade and investment, technology, fisheries, poverty alleviation, climate change and cultural cooperation.